The Brown Brothers story began in 1885, when winemaker John Francis Brown planted 10 acres of vines in Milawa, Victoria. 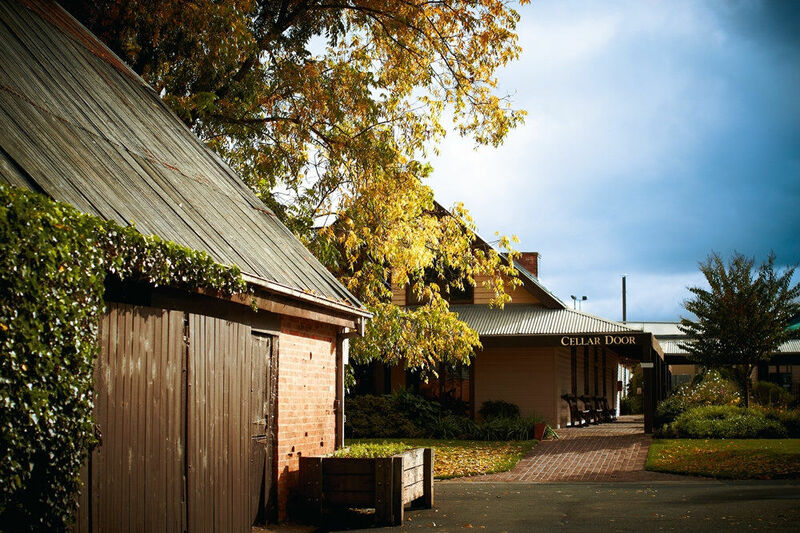 Today, the vineyard remains one of Australia’s leading family-owned wine companies, with experience in crafting wine since 1889, when the first of their vintage wines was produced in their Old Barn, a feature of the property which still stands today. Despite having witnessed many changes in the Australian Wine Industry over the years, the cornerstones of Brown Brothers remain constant, and their philosophy remains the same: to make wine that their customers love to drink. 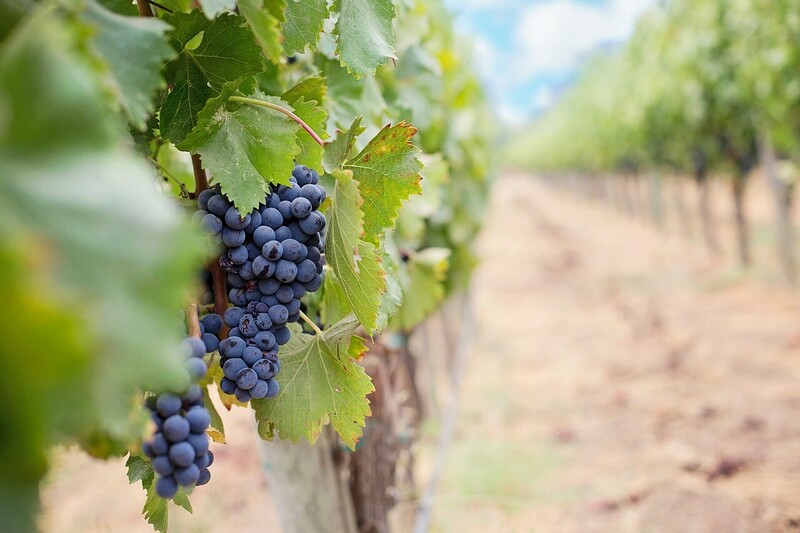 Given their years of experience, Brown Brothers appreciate that making great wine requires high quality equipment, and that’s why the vineyard turned to Automatic Heating to find their business a world-class, sustainable and cost effective hot water system to suit the specific needs of their processing plant. Having established a reputation as a winery that challenges the status quo by developing new grape varieties, Brown Brothers have a partnership with the CSIRO, to support their ongoing viticulture research. Understanding that all great wines start in the vineyard, Brown Brothers are committed to processing their wine in a way that is the most environmentally friendly, in order to produce their popular vintage varieties in a manner that does not harm their land. How did Automatic Heating help to improve the energy efficiency of Brown Brothers vintage wine making operation? To make the most of vintage season, Brown Brothers needed equipment that was cost effective and kind to the environment. In search of an energy saving solution that would provide a specific variable hot water temperature—from 55°C to 90°C—for the processing and use of hot water throughout their plant, Brown Brothers contacted Automatic Heating to deliver an efficient and sustainable hot water solution. Working in tandem with the vinters, our team of experts first spent time learning the process involved in wine making, so as to fully understand the specific needs and water temperature demands during peak vintage season. Our engineers also spent time documenting other hot water usage needs in and around the area of the recommended CO2 heat pump. 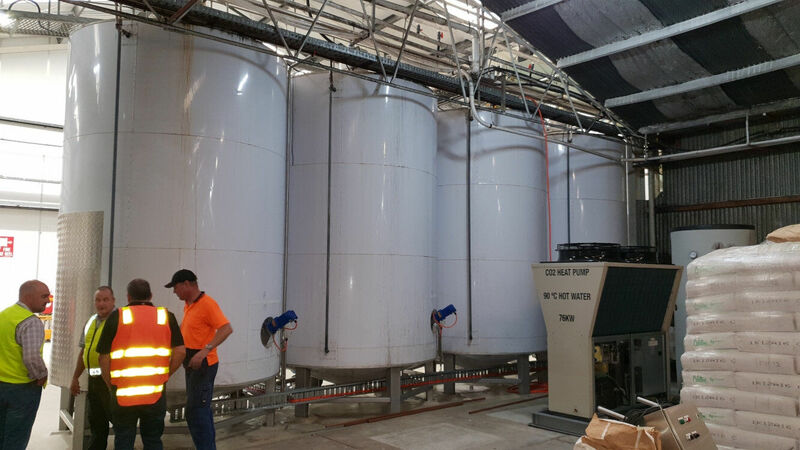 By deploying our Maintenance Test Group onsite in Milawa at the Brown Brothers’ property, we were able to determine the best equipment for the company’s needs, ensuring that all recommended equipment delivered optimum results to the wine making plant, with minimum impact on the vineyard environment. What heat pump did Automatic Heating install at Brown Brothers? The package we provided included a new state of the art Eco-Cute CO2 Heat Pump, in addition to a stand alone s1500L stainless steel tank. Boasting an efficiency around four times that of conventional electric water heating technology, the Eco-Cute CO2 Heat Pump will use minimal power and clever technology to heat Brown Brothers water to the specific variable temperatures required for producing their popular vintage wines. The pump was installed alongside a stand alone s1500L tank. Constructed from Duplex Stainless Steel, this tank provides a maximum operating pressure of 700kPa (PTR valve rating). Highly insulated with various capacities available, Thermex Tanks such as this offer a durable, energy efficient hot water storage system suited to a wide range of applications. Calculated cost savings of 75% for Eco-Cute CO2 Heat Pump compared to LPG fired boiler. What are the advantages of the Eco-Cute 80Y2 CO2 Heat Pump installed at Brown Brothers? 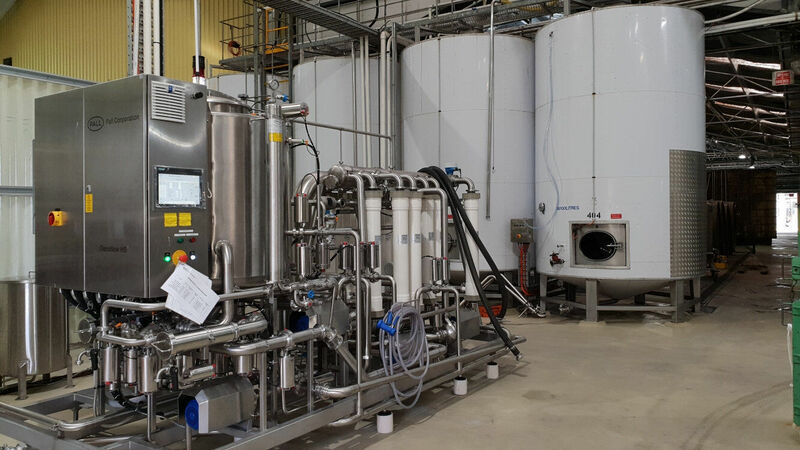 The business of making wine is one that can’t afford major interruptions, that is why it was important to integrate equipment that was not only the most efficient, but also quick and easy to install. Thankfully, we offer a range of heavy duty, high efficiency Domestic Hot Water (DHW) heating systems that are specifically designed for scalability and ease of installation in demanding and labour-intensive commercial applications. 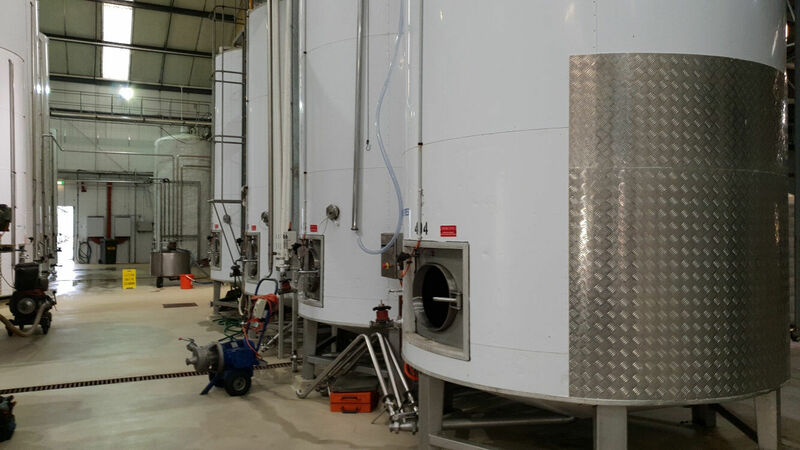 Boasting an impressive 4-hour setup time, the Eco-Cute CO2 Heat Pump was delivered and stationed on site at Brown Brothers in a fast and efficient manner, making it the ideal option for the busy winery, as the process did not cause a large disruption to their routine. Not only was the Eco-Cute CO2 Heat Pump easy to install, it will also cater to the vineyard’s specific water temperature requirements in a sustainable manner, allowing Brown Brothers to heat their water in the greenest, cleanest and most sustainable way possible. For a business that relies as heavily on the preservation of its environment as it does on its equipment, this benefit is of paramount importance. Furthermore, the mechanics of the Eco-Cute CO2 Heat Pump involves the absorption of heat from ambient air, heat which is then transferred into water. This process is run on electricity, as opposed to oil or gas like most conventional models, making the Eco-Cute CO2 nearly four times more efficient than standard electric water heaters. Ambient temperature also has an impact on heat pump efficiency with some heat pumps not performing well with very low ambient temperatures. This was a consideration at Milawa, where the minimum average temperature can be less than 3°C. By contrast, Eco-Cute CO2 Heat Pumps are perfectly suited to these conditions, accommodating an ambient range of -20°C to 43°C. So not only do CO2 heat pumps greatly reduce greenhouse gas emissions, they also save energy, which in turn saves you money. 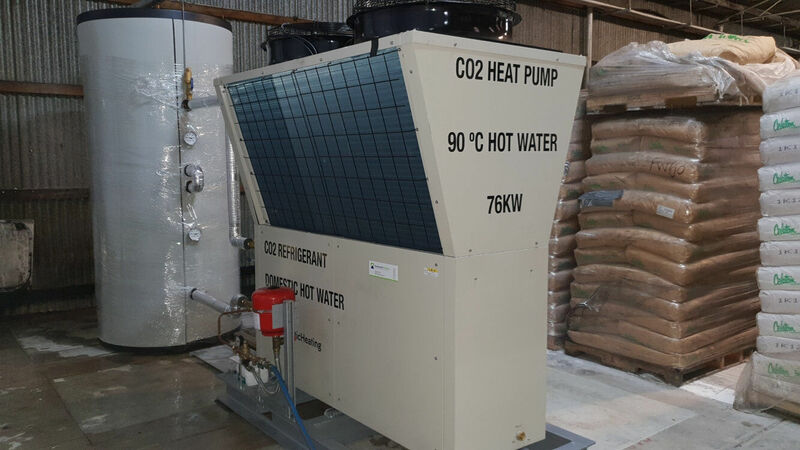 For example, it has been calculated that the Eco-Cute CO2 Heat Pump installed at Brown Brothers Milawa Winery will achieve cost savings of 75% compared to a LPG fired boiler. Stored/bulk hot water accommodates the high peak demands and reduces or removes the gas infrastructure, pipework and labour cost. Having 1000L-3000L of 65°C stored hot water also allows the system to utilise “off peak power” and take advantage of lower electricity costs. Long gone are the days of needing 20-30M2 of plant area for domestic hot water packages. The CO2 Heat Pump and high efficiency Meridian systems only need 5-6M2 while meeting fast delivery needs and any domestic hot water requirements. These next generation hot water solutions deliver significant savings as well as environmental benefits.